St. Gertrude the Great Epiphany, 2016 Newsletter is now available. Fr. Roberto Mardones celebrates the 25th anniversary of his priestly ordination. Fr. 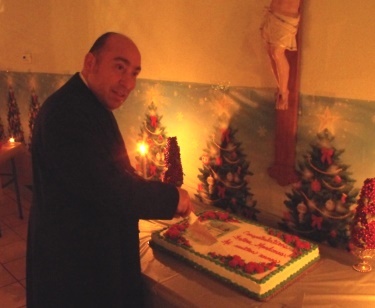 Roberto Mardones cuts the cake at our annual Epiphany party. This entry was posted on Wednesday, January 27th, 2016 at 2:25 pm	and is filed under News.